Started as a limousine company in 1992 while attending college, Ted Littell has expanded White Knight Transportation to 20 motorcoaches and approximately 50 employees through niche business and word of mouth. Joined by his brother Tim, who came on full-time in 1994, Littell had already grown his operation to two Missouri locations, however, he felt that his business could only keep growing if changes were made. Littell purchased his first motorcoach in 1997 and followed up with another the next year before beginning to offer charter services. Then about five years ago, White Knight landed an athletic contract with the University of Missouri. The operation takes the athletic teams to games or meets, typically taking three day trips and traveling 300 to 500 miles. The limousine mentality never left the operation, though, says Littell. The company takes pride in keeping the buses clean and shiny, while the drivers are polite, well-dressed and knowledgeable. Most of its coaches offer amenities, such as leather seats and satellite television, and an executive coach has recently been equipped with a mobile Internet system. Also, most of the operation’s coaches are painted solid black. 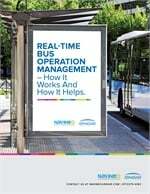 “We choose not to turn them into rolling billboards so the passengers truly feel that it is ‘their’ coach for the rental period,” Littell explains. He adds that the sleek look causes people to often mistake them for entertainer coaches. 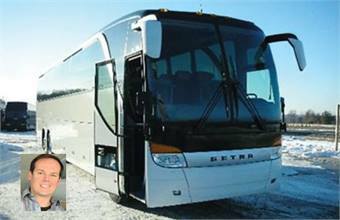 White Knight’s fleet primarily consists of Prevosts, however, its recent purchases include a Setra S 417 with the “top sky” feature, which Littell says has been extremely popular with his tour groups. It also recently purchased a converted coach that was reconverted to a 12-bunk with sliding pocket doors, hardwood floors and large flat-screen televisions. With the ever-increasing cost of fuel, extra care has been taken by the operation to ensure that its coaches’ tires are inflated properly and that all filters are cleaned and/or changed when necessary. “We really pay more attention to that stuff now because a dirty fuel filter can rob a lot of fuel,” says Littell. The operation also toned the speed and horsepower down on its engines so that drivers don’t waste fuel by driving faster than necessary. A majority of the operations’ business comes through word of mouth, but it has spent money usually reserved for Yellow Page ads on Website optimization to boost its chances of coming up on Web searches. “We found that to be more effective than anything,” says Littell. The Website also includes interior and exterior photos of the operations’ coaches, as well as an explanation of featured amenities. Littell is also considering adding the ability to book online.